Below is the list of articles and tutorials on Hidden Start. Each tutorial comes with screenshots and step-by-step instructions for your convenience. Most people think about backups only after losing their data due to a hard drive failure or a foolish mistake. I use 7-Zip for my backup scenarios as it is very flexible and all of its features can be accessed from the command line. 7-Zip is best used for backing up documents or projects with tons of text files. This tutorial describes how to write a simple backup scenario into a batch file. 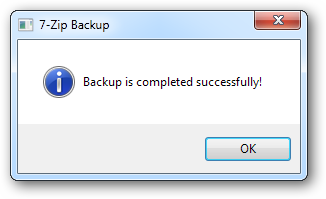 The backup must have a proper name, be password protected and automatically uploaded to a web host. You can speed up your website and lower your bandwidth costs by making your image files smaller. PNGOUT is the most commonly used image optimization tool. It is a simple command-line utility without any GUI. This tutorial describes how to make it easier to use it from a Windows environment by adding an "Optimize with PNGOUT" option to the Explorer context (right-click) menu. I prefer PNGOUT as it produces smaller image files than other PNG optimizers. If you want, you can replace it with PNGCRUSH or OptiPNG and use them in the same way.